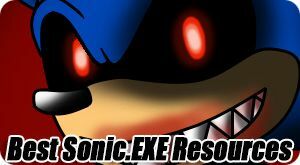 Welcome to SonicEXE.net. 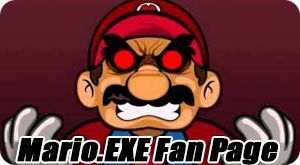 The unofficial fan site where you can play the best online Sonic EXE games, download them and more! 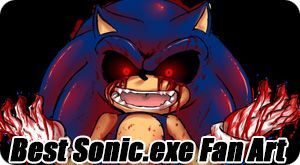 The original Sonic.EXE creepypasta (Internet horror stories) was created by JC-The-HYena. 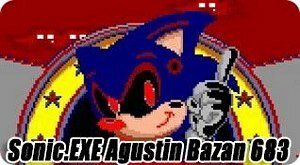 He created the character, stories and some animations of this dark evil Sonic The Hedgehog character. 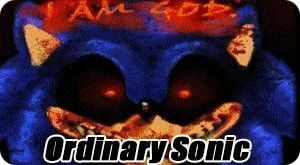 The story is about a teenager that plays a strange modded PC Sonic port and encounters many episodes of evil paranormal activity. The popular game was created by Gamejolt User MY5TCrimson. Since the game came out the popularity has went through the roof, a lot of commotion on Youtube, art, made up stories, and even more games have been created. So now just scroll down, Play online, Download, and learn more about this character, Enjoy! 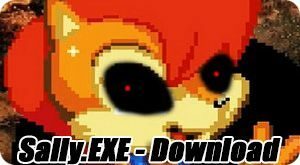 We have done the hard work and compiled the best fan created Sonic.EXE games you can play in your web browser (Chrome, Firefox, IE, ect) online. These games are flash compatible and will work with PC’s, MAC’s or Chromebooks. These Games will not work on mobile devices or most tablets. If you have problems playing any of these games, please make sure you have the latest version of Adobe Flash Player installed. Have fun! 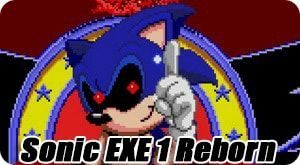 These are the best Fan created .EXE games related to Sonic The Hedgehog that we have played. You can download them for free and play them on your Windows PC. 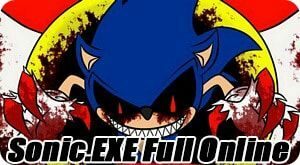 Their are many other Sonic.EXE games out there, however most are very low quality and just not that good. If you know any other downloadable games that you think we should list, please don’t hesitate to Contact Us. I would like to thank GameJolt.com for hosting most of these games. (Information and Video Walkthrough of each game below). 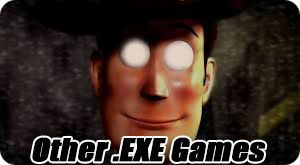 The original, first and still the best of the Creepypasta .exe games (In my opinion). In this game you get to play as three characters (Tails, Knuckles and Dr.Robotnik). Each character will end up dead. Your mind will be messed with in this game. Tricks will be played on you. You are not fast enough. Everyone is destined to die, lol. Some people hate it and some people love it, try it out and judge it for yourself. – Download Here. Created by MY5TCrimson. Sally.EXE is a very short but sweet Creepypasta. Pretty Scary lol. Sally is out to find her love Sonic. Trying to follow him through this world is not a simple task. Come to find out that is not the Sonic that she loves. Sally ends up getting Possessed. Who really is the killer here? – Download Here. Created by MY5TCrimson. A game that you actually get to play, run and jump in. 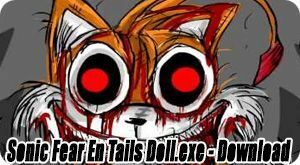 Based on Sonic R’s Tails Doll this is a very long .exe Creepypasta clocked in around 20 minutes. While playing as Sonic this game provides loads of creepy Tails character Jump Scares. Also one of the goriest, with blood and guts everywhere. The level design is very nice and fun also. 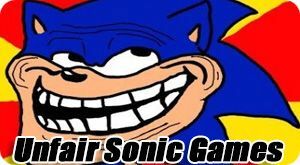 If you want something longer and more like an actual Sonic Classic Games (Try Them Here) but creepy, give this one a try. – Download Here. Created by yesmen10. This is the unofficial sequel to the original game. 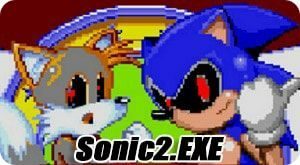 In Round2.EXE you get to play as Sonic and try to save all your friends. Play through difficult levels where rings are scarce to find, but traps and blood are abundant. After each level you get to fight against Sonic.EXE and he is pretty tough, make sure you keep collecting rings. 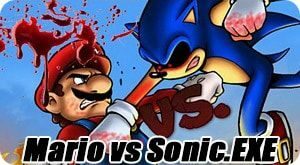 Do you have what it takes to make it through this game?, save your friends and defeat the evil Hedgehog? Is he really the one behind all this madness though? Play or watch the video to find out. – Download Here. Created by Gustavo Firmino Cazonato. 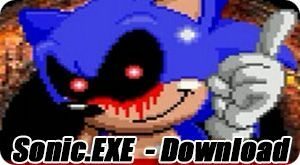 SONIC FEAR 2: METAL SONIC OUT OF CONTROL.exe – I never got to actually play Sonic Fear 2, because I can’t find a working safe non ad spamming download link for it. Watching some youtube videos it looks great with many characters such as Amy, Metal Sonic, Dr.Robotnik and others. Game looks like it has fantastic fun factor, level design and blood. If someone manages to find a working clean download link for it, please Contact Us. 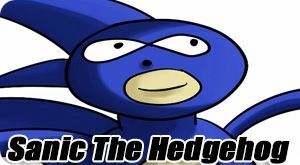 In the mean time you can check out some fantastic Youtube gameplay by Luigikid Gaming of Sonic Fear 2 Here!. SUNSHINE.exe – is a very entertaining game, but falls a little short from making it on our top list. Read through the creepy diaries of Dr.Robotnik. Discover mysteries that were never told. Playing as tails you are in a dungeon wondering why you are here and why you see yourself dead. Is their two tails? More info about this game and download can be found Here!. 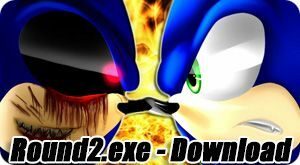 Sonic3D.EXE – This simply is a redone 3D version of the original Sonic.exe. It’s pretty good i guess but lacks any good jump scares and creepiness. Kind of cool to play through it in 3D though. For more Information and Download Here!.